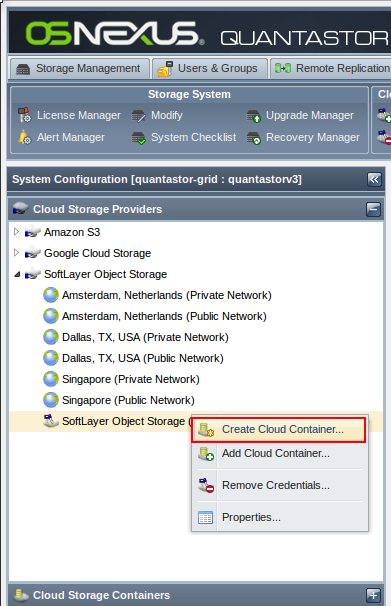 Over at The Virtualization Guy blog, Gaston Pantana wrote a great post on how to integrate SoftLayer’s Object Storage with QuantaStor using Cloud Containers. Cloud Containers let you back up storage volumes to Amazon S3, Google Cloud Storage and IBM/SoftLayer Object Storage. The data is compressed, encrypted, and deduplicated and is ideal for unstructured information such as documents. The following Vine shows a cloud container being created for SoftLayer Object Storage.